If you are thinking of getting out on the town in Oldham or a celebrating something special over the coming months, why not think about a limo hire to get your party or event off with a bang. Many people in and around Oldham are under the misconception that hiring a limo in the Oldham area is an expensive thing to do. Well we just want to let you know that actually it can be cheaper than hiring a minibus on a return basis. For example if you hire a taxi from Saddleworth into Oldham town centre and book a return ticket for 12 to 14 people it can be very costly. With Acestar Limousine Hire we are proud to be able to offer you a quote for your journey requirements and we can make sure that we have the best limo hire Oldham has to offer. Simply put our limos are the best in the Oldham area, we have a fleet of brilliant limos available for hire all with amazing onboard facilities such as a bar, top sound system and lighting to make your event go off with a bang. Those of you that know our limo hire service will know that our local knowledge of the Oldham area is first rate and our chauffeurs are courteous, well trained and polite at all times. If you want a quality limo hire in Oldham, why not check out the Audi Q7, BMW X5 or why not turn heads with the Porsche Limo. No matter which limo you choose, you will have a great time and it will be a great addition to your event. 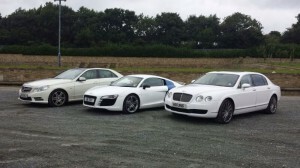 The best limo hire rates Oldham gives you. While a limousine offers a touch of class and elegance to all users, it doesn’t have to be expensive to hire a limousine. Ace Star Limousine Hire offers a wide range of packages and vehicles, so if you are looking for the best value for money cheap limo hire Oldham, get in touch. The firm is happy to offer a free quote with no obligation so if you are looking for peace of mind when it comes to booking a limo; this is easily the most reliable limo hire in Leeds. One of the reasons this option is described as being one of the best car in Leeds options is down to the range of vehicles available in the fleet. Weddings, Corporate, Hen Do`s, Stag Do`s, Birthdays, School Prom`s We provide our limo hire for many occasions throughout Oldham and the surrounding areas. We also cater for Oldham muslim weddings with some of our limos and our amazing Rolls Royce Phantom wedding car being the centre of attention in the Oldham area. Spice up your event with the best limo hire Oldham has to offer. Town Car Limo, Bentley Arnage, Rolls Royce Phantom, Pink Limo, Baby Bentley Limo, BMW X5 Limo, Audi Q7 Limo, Porsche Limo, Hummer Limo. Some of our limos available in Oldham are one of kind, literally, there is only 2 BMW X5 limos in the UK and we have them both along with the Audi Q7 which is the only limo north of London. Thinking about a wedding car hire? Then why not check out the Rolls Royce Phantom, it’s a sure fire hit for any wedding in Manchester. You will find the most effective and stylish wedding car hire Oldham has to offer, including the stunning white Rolls Royce Phantom. Of course, sometimes hiring a limo isn’t about style or elegance, it is about grabbing attention and making a grand entrance. If you want to stand out from the crowd, why don’t you arrive at your event in a Hummer? For the best quality hummer limo hire Oldham has to offer, make sure you contact Ace Star Limousine Hire. Of all the limo companies Oldham has to offer, you want to choose a company with considerable experience; a great fleet of vehicles, experienced drivers and a dedication to ensuring you have an excellent time.